From Jonathan Turley’s Blog…Although a very lengthy piece of political commentary, I found reading this to be worth every minute. I’m grateful for the perspective I gained in studying this. 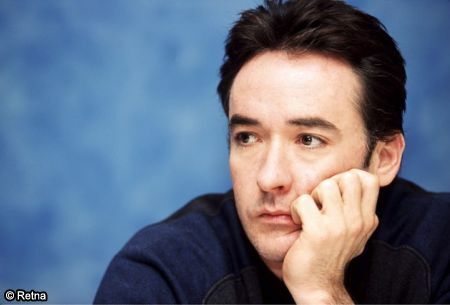 On Huffington Post this week, John Cusack has published an interview with me on the record of the Obama Administration. For full disclosure, John and I grew up together in Chicago and our families have been very close since childhood. With John, I was part of the Piven Theater company with Anne and Joan Cusack (also with Aidan Quinn, Jeremy Piven, Bill Macey, and others involved with the company). John and I continue to discuss politics and philosophy – a regular past time over the holidays for decades over kitchen tables in Evanston and Chicago. In this interview, we shared some of our mutual sense of betrayal by President Obama of core civil liberties in the United States. I have previously written (See e.g.,here and here and here) about the harm caused to civil liberties by Obama as well as the harm he has caused to the civil liberties movement. This is also a debate that we have had on this blog over the dilemma facing many civil libertarians voting in this election. Hi Bobbie ~ Tom, here. I, for one, would LOVE to be in the position of John Cusak right now; you know, the one where I can afford to sit back and focus on a pet issue, even as so many other things are affecting Americans right now that need to be addressed. I mean hell, regardless as to how everything pans out -Cusak?- he’s going to be a-ok. Discussions like this, while raising valid points, are less a relevant piece of dialogue and more an intellectual thought-experiment. And Turley? Bits like this: “Well, the question, I think, that people have got to ask themselves when they get into that booth is not what Obama has become, but what have we become?” really make me wonder if this guy gets that there will BE no big picture to focus on abroad if we collapse from within, first. Hollywood, even as vocally Liberal as they are, do more harm to the LIberal platform than good; they, just like the Corporatists out there on the Right, are SO disconnected from the root of the issues facing us that all they can do is react: on the Right, they react to a perceived slow of profits. On the Left, they react to observed injustices. Don’t get me wrong…our interactions on the International level need to be addressed, but the timing? We’ve got to take care of ourselves before we can focus the lens outward. I agree with your conclusion, Tom. We must find a way to quell both greed and apathy, and put our collective house in order. The question remains … How? In my mind, there is no foreseeable solution. That’s what concerns me most of all. Thank You for your comments. I think the solution to all the economics troubles lies in this one statement: Get the Jobs back! Working people are happy people. Force private companies to open manufacturing plants and service industries in the U.S. Yes, this goes against belief in free markets but to protect sovereign rights, it is better to practice free market within the boundaries of one’s nation. It is a corrupted form of globalization that is taking away livelihoods from people. And who does globalization help? Only the owners of these companies that manufacture stuff abroad and sell it back in the US making windfall profits. So why as an Indian, would I preach this, given that my country benefits a lot from US sales? Because we have become too dependent on the U.S! Our entire manufacturing and service sectors are built around what people in US and Europe want. I can’t even get good apples in my country anymore! All the good Apples that grow in India are exported. All we have available are either the lower quality leftovers or some crappy apples imported from New Zealand and sold at a premium! Thank you for posting this conversation. It’s hard to believe that these two commentators didn’t do much vetting of Obama prior to the 2008 election. (I think they both knew exactly what we were getting, especially if an “outsider” like myself knew). They pretend to be “civil libertarians” when, as the “collectivists” that Cusack and Turley actually are, in the final analysis they will always support executive power “for the good of us all.” Now they have this “conversation” on record to pull out whenever it is in their interest to “prove” that they are civil libertarians. As to “forcing” American companies to build plants in the U.S. to service the American market–that will happen naturally whenever we return to Constitutional government in the United States. Your Indian friend is arguing for the same executive power that Cusack and Turley pretend to oppose.